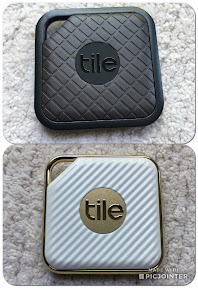 By now you may be familiar with Tile, the reliable and easy way to track stuff that is important to you. We have been big fans ever since being introduced a couple of years ago; Tile has saved us (mostly him) hassle of asking the question “have you seen my wallet/keys/phone” with its simple technology. It's funny how something so simple can be so useful. The handy little Bluetooth Tile clips on your keys, bag or pretty much wherever you need it. It's paired with its matching (free) intuitive app and makes finding your lost or misplaced things a breeze. You set up your Tile, pick a ringtone and you can ring your things, find your items last known location and also tap into the Tile community to see what other fans have to say. You can even ring your phone from your Tile if that happens to be misplaced, too. I know I've "lost" my phone on more than one occasion. Also, if you lose something and it happens to be found by a fellow Tile user, they can log onto their app and let you know your item was found; it’ll even notify you on your phone. So many things it can do! Click here for more details on how to use Tile. Tile has added on to its collection with the Pro Series Sport and Style Tiles. Waterproof, durable and each unique to its user's lifestyle. These tiles come in sets or can be purchased individually. They kind of look like “his” and “hers, don’t you think? Visit the Tile website to see the entire collection including the original Tile! With the summer months coming up you may want to make sure you keep track of your stuff! 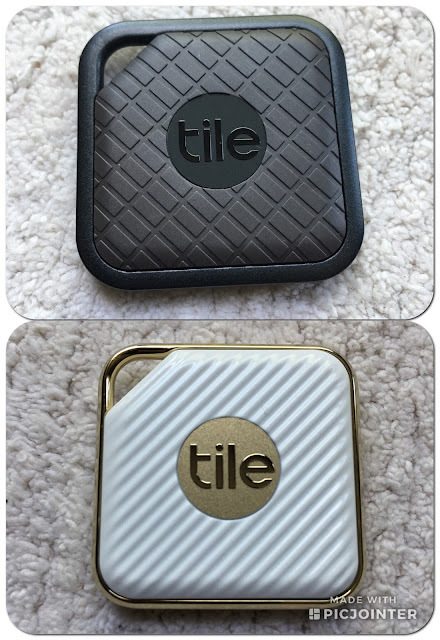 Enter using the ballot below for your chance to win both the Tile Sport and the Tile Style! Open to US and Canadian residents 18+ (excluding Quebec and where prohibited). By entering this giveaway you understand your information will be collected for prizing purposes and will only be shared with representatives of Tile should your name be drawn a winner. For more info please read our giveaway guidelines. Posted on behalf of Tile. 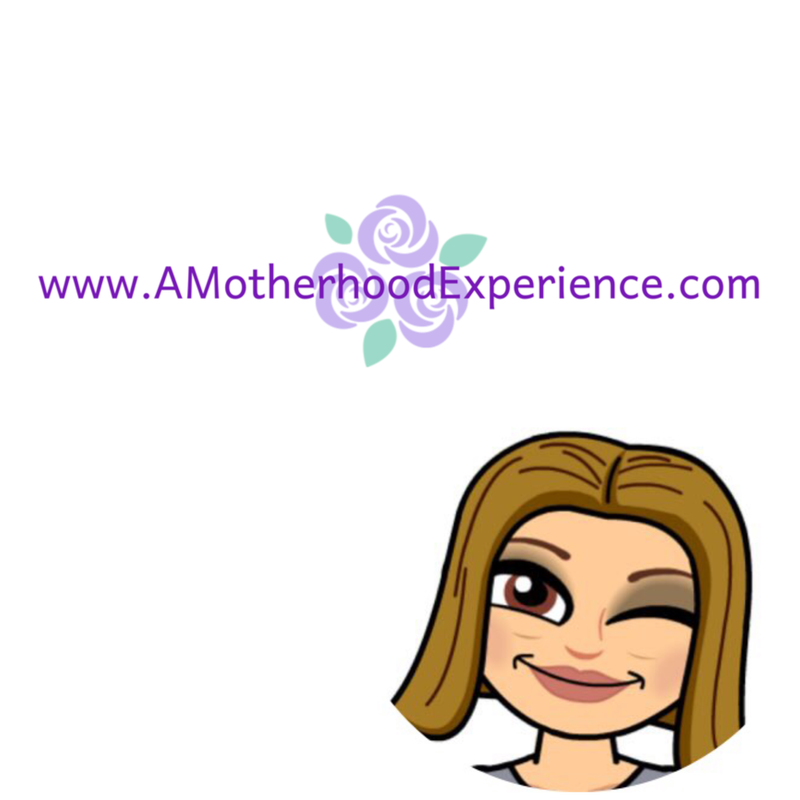 Complimentary product was received for review purposes, however, all opinions and comments on this blog are those of the author. I would clip the Tile to my keys! I would clip a tile to my sons lunch bag. He has lost at least 6 this school year so maybe a Tile would help him keep track. I would clip to my key ring as I am always losing them! I would clip the Tile to my car keys. They're always running away from me. I would clip the tile to my keys. I would clip a Tile on my keys to keep track of . Always misplacing the iPod so it goes there first. Thank you. I would definitely clip a Tile to my keys which I am always looking for!! I would put this on my keys. 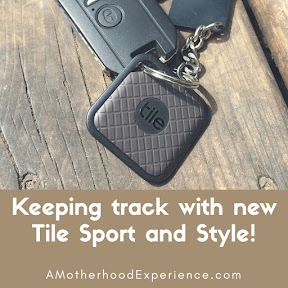 I would clip the Tile to my hubby's keys. He never puts them down in the same place and so we always play search for the keys. If I could attach it to my hubby's glasses, wallet and cell phone it would make life so much easier and a whole less arguing where he left his stuff, omg men!! I would certainly put it on my car and house keys. I'd put it on my key chain! I would put it on my phone, i cannot keep up with that dang thing lol! I would put it on my work keys- Monday mornings come too fast! I would give it to my husband for his keys, he is constantly losing them! I would clip it to my keys! I'd give this to my husband for Father's Day. He's always running around looking for his keys! I would gift this for my dad because he always looses his keys. I would clip it to my car keys. I would clip it to my keys. I would attach it to my phone.